Distracted drivers caused more than 17,500 crashes last year, according to the Minnesota Department of Public Safety, and were responsible for 63 deaths. 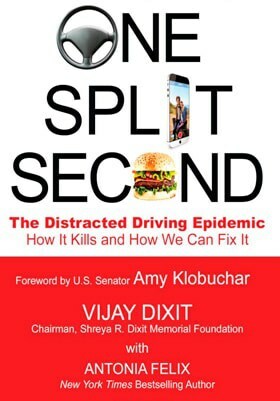 Each crash happened in the split second it takes to glance at a phone, or a radio dial, or the kids in the back seat. Texting while driving diverts attention from the road an average of 4.6 out of every 6 seconds, officials say. That’s on par with traveling the length of a football field at 55 mph without looking up, according to the state Department of Public Safety (DPS). And using a cellphone while on the road delays driver reaction time as much as having a .08 blood alcohol level. The number of teens who are being injured or killed as a result of texting while driving has skyrocketed as mobile-device technology has advanced. Crash deaths in cases where drivers were on the phone are seriously underreported, according to a recent analysis of state and federal data by the National Safety Council, an advocacy group.